Google will buy Meebo, said Tuesday on his blog the start-up specializing in social networks. 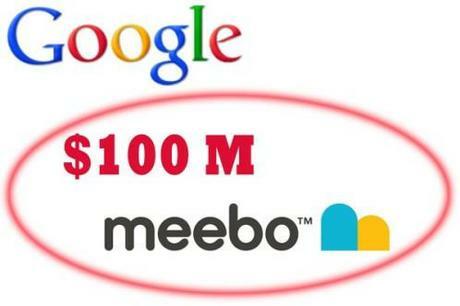 The amount of the transaction were not disclosed but the site the first search engine on the internet and Meebo will be going for a sum of approximately $ 100 million. Meebo, that enables online publishers and advertisers to showcase their websites or their products on social networking sites like Facebook. If you have multiple ids of a social network then Meebo offers you to stay online simultaneously. Suppose, you have two email ids on Google, one on facebook, two on yahoo or so on……., using Meebo you can stay online on each of your accounts. The company was founded in 2005 and based in California, also provides users with tools to share content on the web. “We are always looking for better ways to help users share content and get in touch with others on the internet as they do in real life,” said a Google.